By admin , in Herniated Disc on January 13, 2019 . Most people that have back pains are not usually very eager to visit a doctor. This happens simply because everyone considers back pains as something normal, that happens from time to time and that pass as swiftly as they come, like a headache. They are right almost all the time, as their back pains are the simple result of the stress that they have exposed their spinal cord too, either in the period before the pain occurred or when they were younger. In some cases, especially if the individual is experiencing acute pain after he took a fall or after he twisted his back in a strange way, the possibility that the pain has a more severe cause is higher. It can easily be a herniated disc. That is why it is better to get familiar with the symptoms associated with a herniated disc, so you can go to the doctor right away, if they happen to match your own. 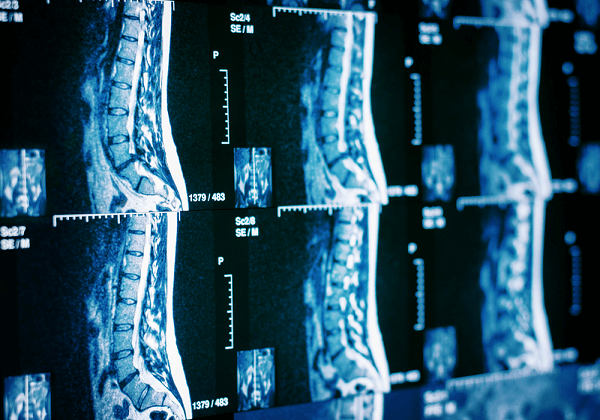 Depending on the area and location of the herniated disc, the symptoms can vary greatly. Most of the time, the only damaged structure will be that of the spinal disc, in which case the pain will be quite insignificant and easily bearable. Instead, if the bulging spinal disc compresses some of the nerves found around the spinal cord then the pain can be terrible, and the movement of the patient that suffers will be almost impossible. Depending on the affected nerves, the pain can spread to adjacent areas such as the arms, if the damaged spinal disc is on the upper part of the spinal cord, or to the legs if the damage spinal disc is on the lower part of the spinal cord. Because of this, patients that go to the doctor accusing arm or leg pain together will back pains can get often misdiagnosed. In that case the real cause of the trouble will only be discovered after the patient undergoes a CT scan. Symptoms that are not always frequent: Plenty of other symptoms, some of them rarely associated by those that experience them with a herniated disc, might be present. Numb muscles: Numbness is one of them. When people feel a certain part of their body numb then they tend to get scared considering paralysis and other similar or far worse conditions. If back pain comes associated with numbness then do not make any rash assumptions and go to the doctor. It can only be a herniated disc, and nothing more than that. Tingling sensation:Tingling might also occur when particular nerves are affected by the damaged spinal disc. Again, this strange symptom is usually not associated with a herniated disc. If you experience this feeling together with back pains then consider the possibility of having a herniated disc. Affected reflexes: Affected reflexes can also be another symptom of a herniated disc. If you experience this symptom for more than one day, even if it is not very pronounced, then consider immediately seeing a doctor. You should also know that the pain caused by a herniated disc tends to be felt continuously, in exactly the same area. Keeping this in mind makes it easier to understand when you are experiencing a simple back pain and when the cause might be a herniated disc. 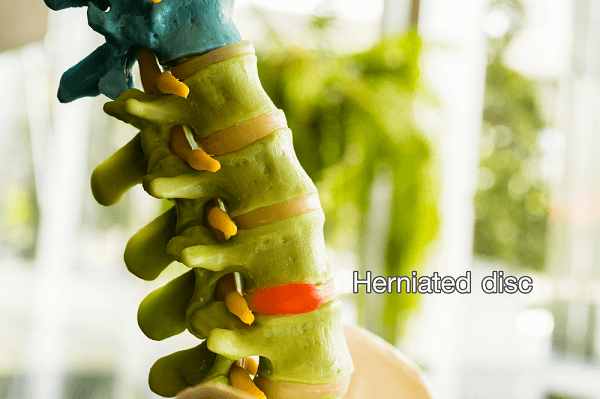 In a few restrained cases some patients that have been in the end diagnosed with a herniated disc have felt no pain or any other major symptom commonly associated with this medical condition. Further tests have shown that sometimes, in the area where the bulging spinal disc is located, no nerves or any other structures are touched, eliminating in this way the presence of any symptom. Apparently, a herniated disc in the cervical region causes no symptoms most of the time. Another thing to keep in mind is that in the case of a herniated disc the pain or numbness will only be felt on one side of the body. In only rare, critical cases, this is otherwise. 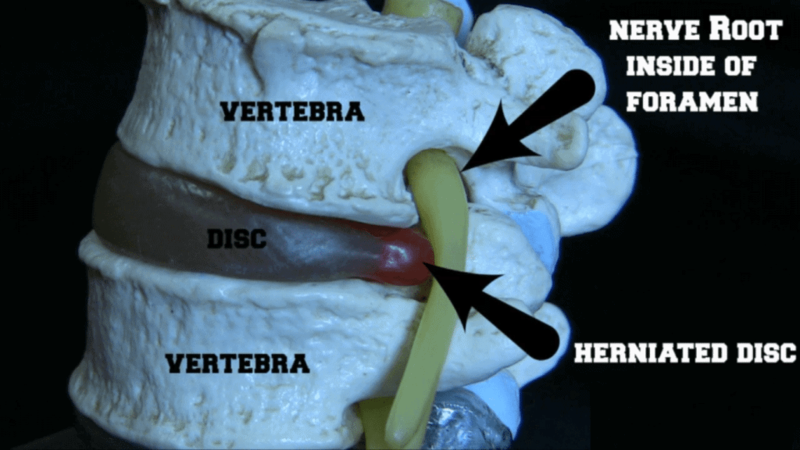 These are the symptoms that come with a herniated disc and that can easily help identify this medical condition and highlight it from a simple back pain. Keeping them in mind will be useful as it will help you recognize a herniated disc easily and right after it first appeared. You can then visit a doctor right away and enjoy a fast recovery. Waiting for the pain to simply go away, while continuing activities that can be stressful for you spinal cord, is not advisable as it can lead to significant complications that can have life time consequences. Keep in mind all the symptoms of herniated disc and if you ever happen to experience two or more then visit right away your doctor.